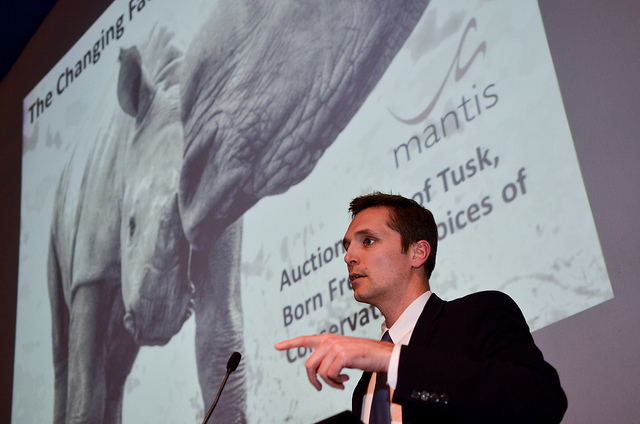 Mantis Collection has hosted a special event in London to shine the spotlight on the plight of the African rhino, which faces extinction after years of poaching. 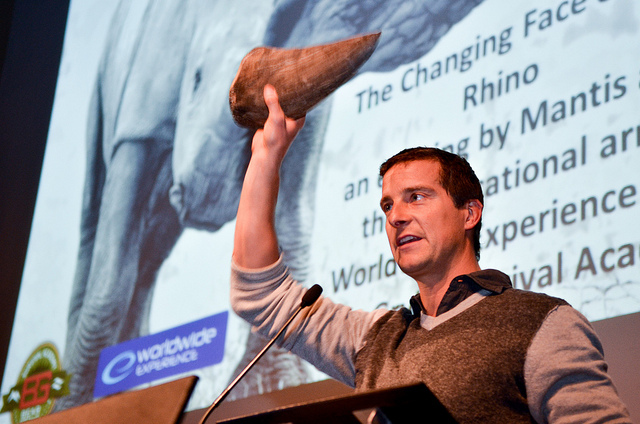 The event, hosted at the Royal Geographical Society, witnessed a talk from Dr. William Fowlds, as was introduced by adventurer Bear Grylls. In 2007, 13 rhinos were poached. In 2013 it estimated that 900 rhinos will be poached with almost three rhinos being killed every day. Rhinos are poached for their horns which, according to some south-east Asian countries, have healing capabilities and other medicinal uses and values. Modern science has, however, proved that the horn carries absolutely no medicinal value and is, in fact, made up of the same protein, keratin, which is found in human fingernails. Yet the demand for the product continues to increase. Current international debate aimed at bringing an end to poaching include; legalising the rhino horn trade, dehorning rhinos, stricter law enforcement, decreasing demand through bans or education, and an improved consolidated and collaborative approach by all stakeholders, the situation is becoming more critical by the day. Grylls said: “As the world’s population explodes, the wildlife on all seven continents is being negatively affected and their numbers are dwindling. Guests in the audience last night included Dame Kelly Holmes, James Lewis, Kate Silverton, Virginia McKenna, Will Travers and Lady Sally Aspinall. The event also raised cash for TUSK Trust and Born Free Foundation. See Breaking Travel News’ exclusive photos here.